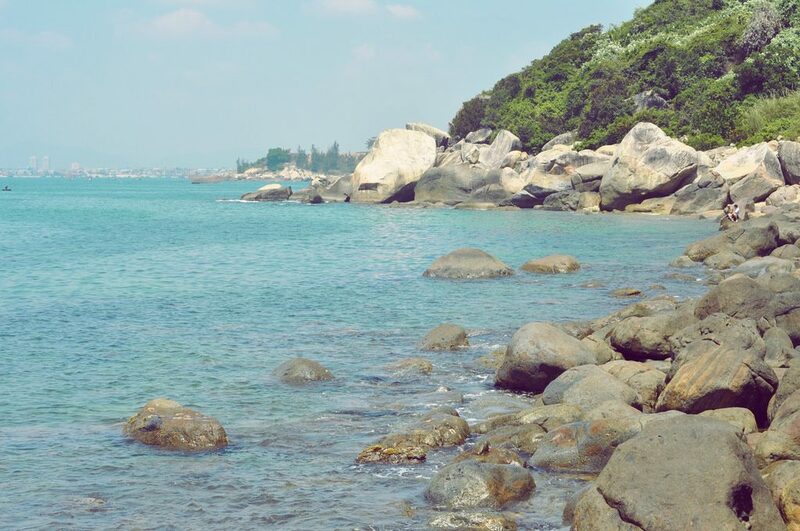 Considered as “the precious pearl” of Da Nang City, Son Tra Peninsula is famous for its beautiful scenery and a rich diversity of plant species and wildlife. The peninsula covers an area of 4,439 hectares, boasts miles of stunning sandy beaches. 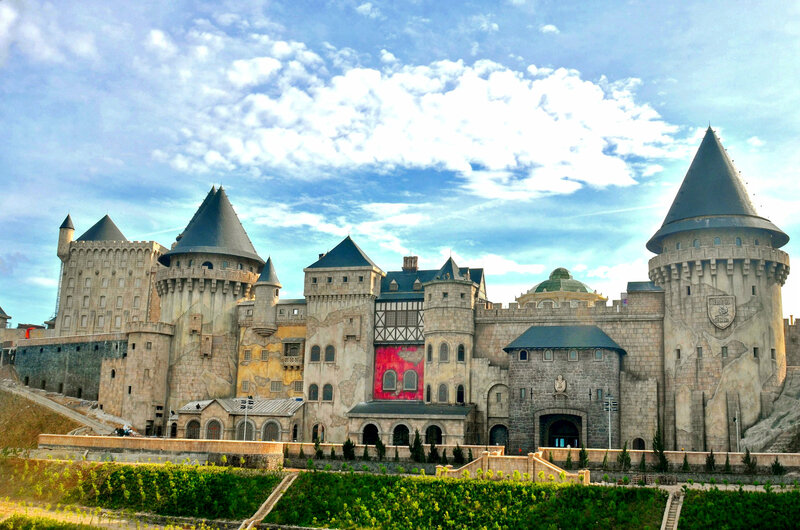 Let’s discover some of the top tourist attractions here! If you love sports and still want to do some swimming or diving when traveling in Da Nang then Son Tra peninsula is a good place. Son Tra Peninsula is 693m high above sea level with its rich flora and fauna. 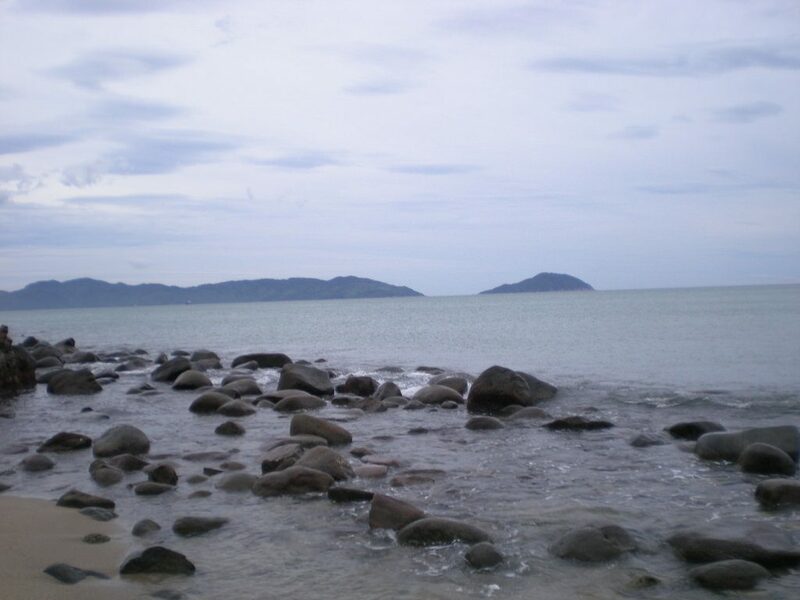 This peninsula is also famous for its some beautiful beaches like Bai Bac, Bai Da, Bai Rang, Bai But, Bai Nam, Bai U, etc. Springs or summer (February to September) are good time to swim or have scuba diving there since the sea is calm, blue and the water is clear. Enjoying the fine view of the city from far away and the beautiful view of the sandy bank running around the peninsula is a good choice for a day. The beach part near Bai Nam and Bai U has the colorful coral reefs which is worth to have your snorkeling or scuba diving. The best time to watch coral is from 10 am-12pm. 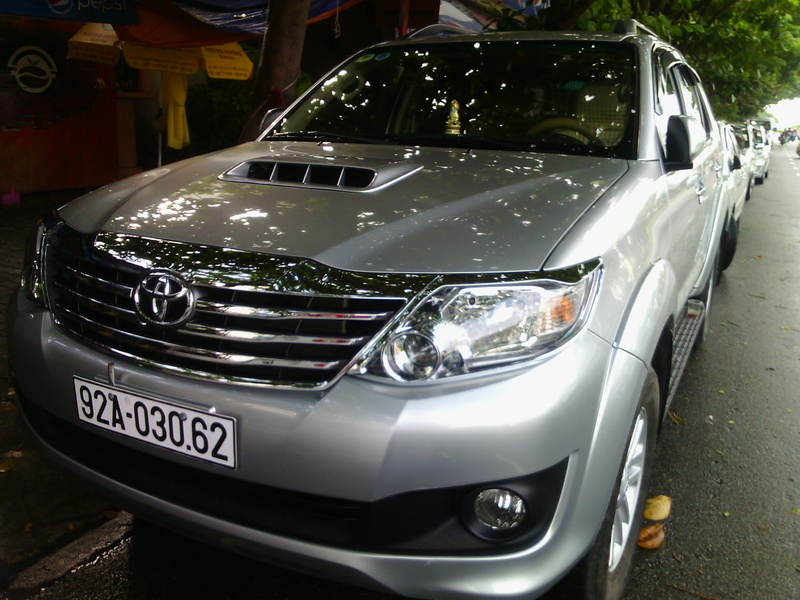 But Beach has become a familiar destination not only to the domestic tourists, but also to the foreign ones. The area lies amid gorgeous scenery of the mountain, the forest and the sea. 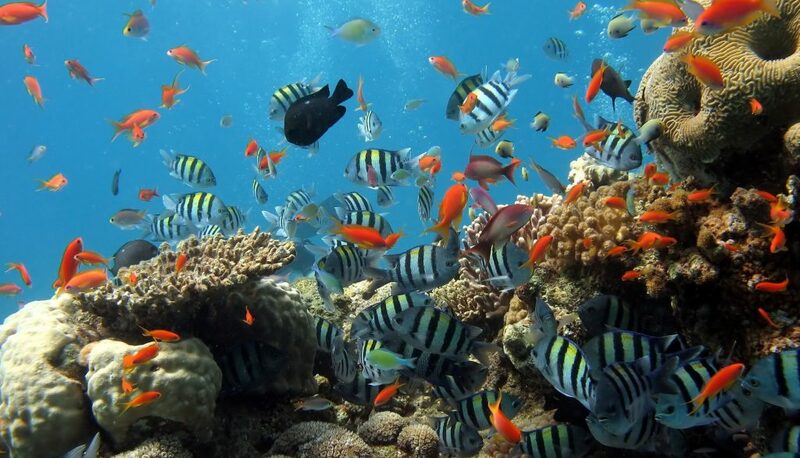 Here, you can take part in a wide range of outdoor activities such as swimming, diving, snorkeling, coral viewing, etc. You can rent a hut when arriving at But Beach enjoying the food you bring along and singing next to the beautiful, clear, blue water of the sea. 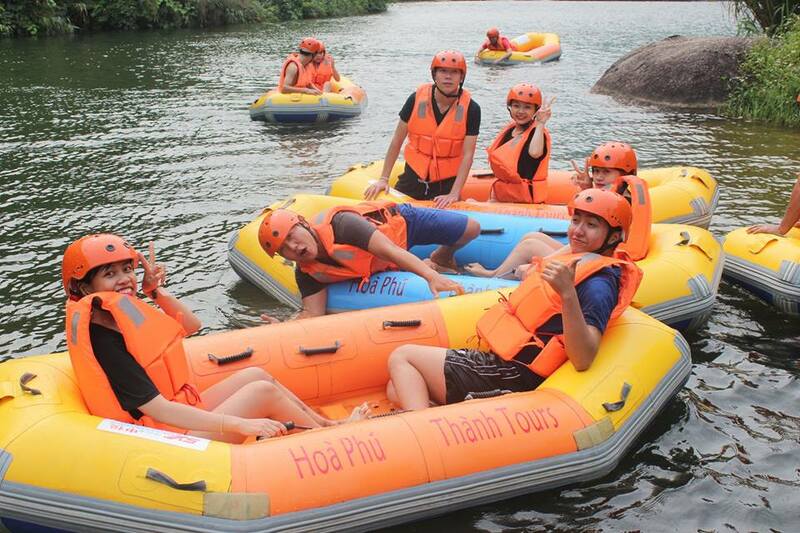 Besides, there are many activities for you to join: beach games, scuba diving, windsurfing, parachuting, and so on. Located on the northern side of Son Tra Peninsula, Da Den is a strangely remote beach even though it just takes 1 hour of boat trip from the city center. You can start the journey from Han River, cross Tien Sa Harbor Bridge and go through Tien Sa ecotourism site before reaching this area. As the name itself, Da Dan Beach features many large black rocks heaping on one another, creating beautifully unique views from different angles. With calm and turquoise water, the beach is suitable for swimming, snorkeling and coral viewing. 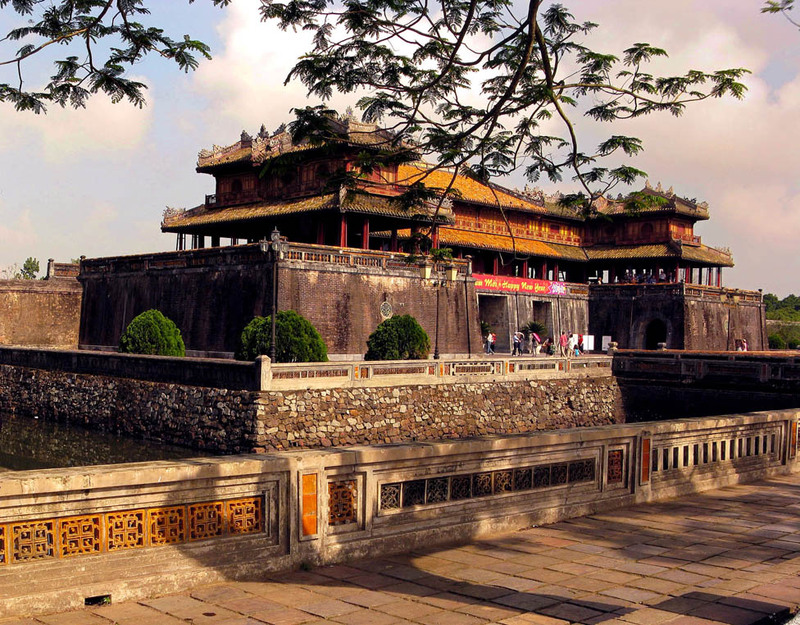 Located at 10 kilometers northeast of the city center, Linh Ung Pagoda is the biggest and most beautiful pagoda in Da Nang. 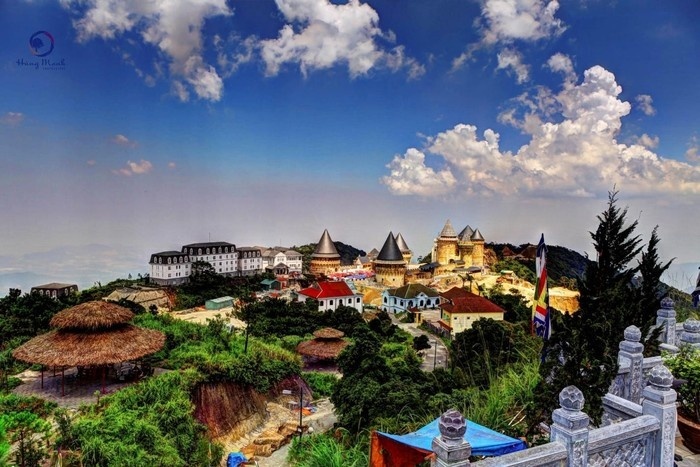 It is situated at an altitude of 693 meter, possesses a unique blend between traditional and modern architecture of Vietnamese pagodas. The most important feature of the complex is the highest statue of bodhisattva Avalokiteśvara in the Southeast Asia, at 67 meter high. 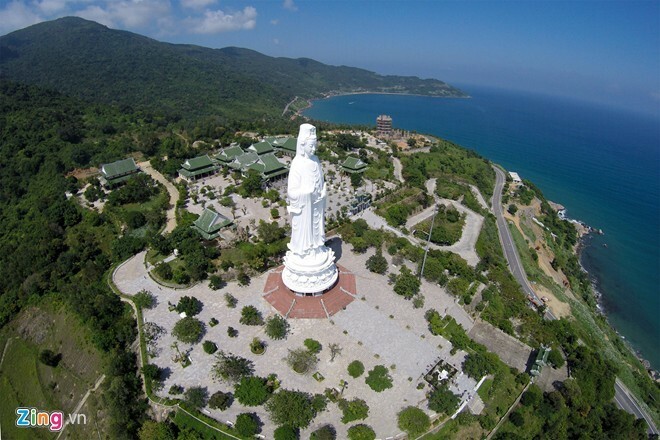 Inside the statue are 21 small Buddha sculptures arranged across 17 floors, from which tourists can have a magnificent panorama view of the boundless sea and the forest surrounding the pagoda. The path leading to the peak twists and turns around the mountain, passing through some splendid scenery. 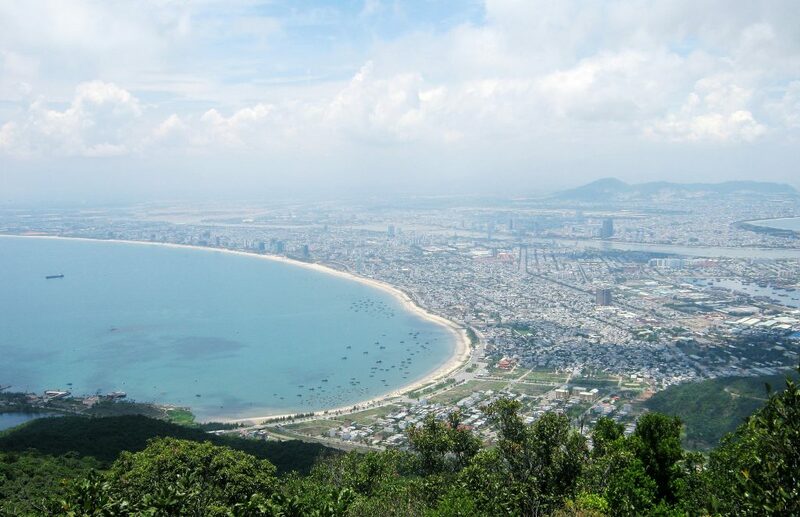 As soon as you reach the top, you can enjoy a panorama view of the charming coastal city of Da Nang that will surely take your breath away. 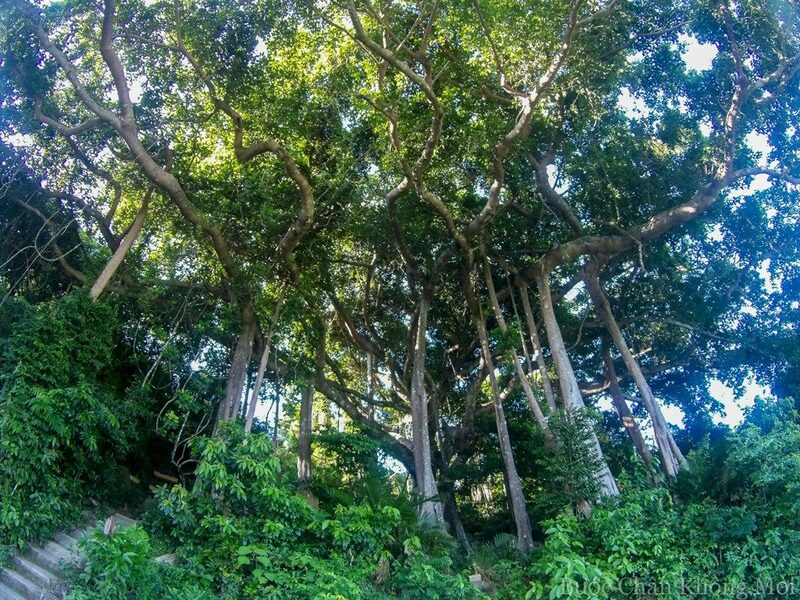 Located on Hon Nghe point, northeast of the peninsula is a giant banyan tree which locals believe it can reach up to 1000 years old. Many people wonder about the real age of the great Banyan Tree, but so far, the answer hasn’t been offered. 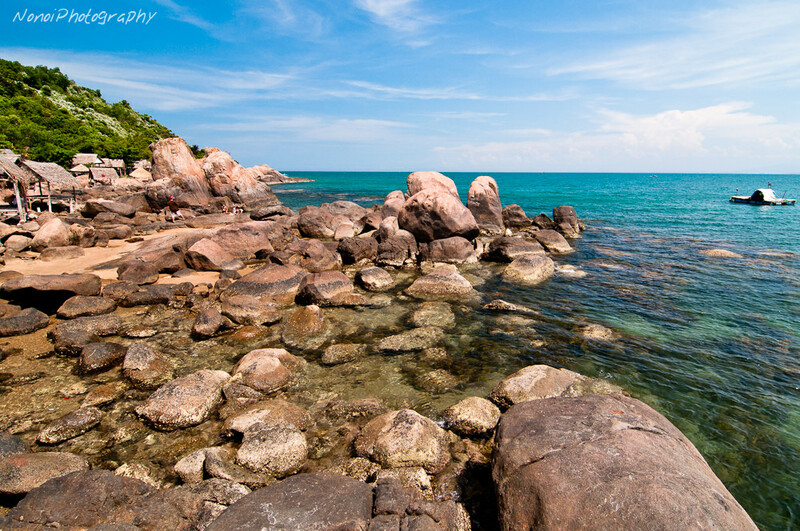 Also known as Nom Beach, it is one of the most stunning beaches in Son Tra Peninsula. There are many beautiful coral reefs located in this area, making it a popular spot for diving, snorkeling and coral viewing. 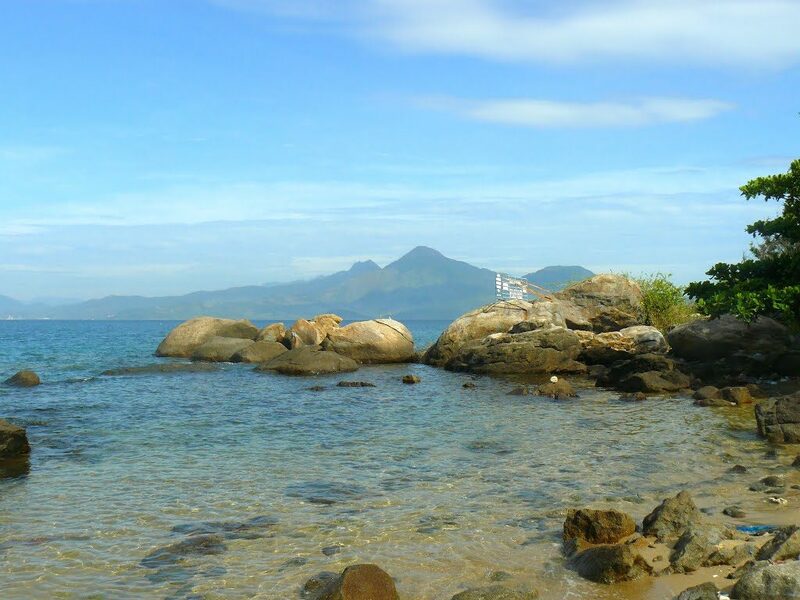 Tien Sa Beach is situated to the north of Son Tra Peninsula, offers an atmosphere of peace and tranquility. This is an ideal spot for a picnic with family and outdoor activities or just simply a place to relax and enjoy the nature beauty of pristine water, white sand, and glorious sunshine. Belonging to the InterContinental Hotel & Resort Group, InterContinental Da Nang Sun Peninsula Resort comprises 197 rooms elegantly designed with balconies. Each of the stunning seaside villas boasts a private swimming pool, sumptuous bathrooms, along with magnificent views over the ocean. 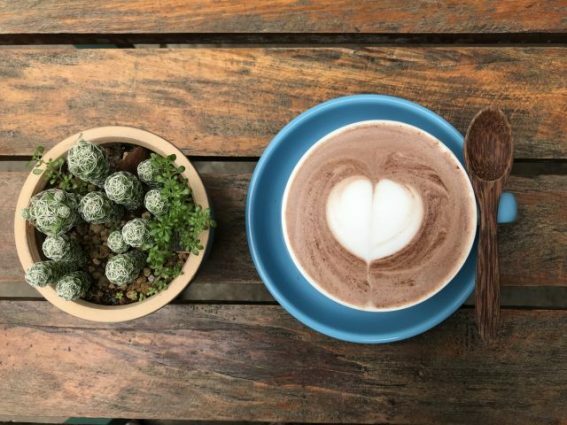 Barefoot Café (belongs to Intercontinental resort) is a relaxed beachfront restaurant offers chic and casual dining accompanied by an ocean breeze. Barefoot offers you the perfect setting to dine in a beautiful and romantic view of the beach with the sands between your feet. Named after a native plant called Caryota mitis lour, Dong Dinh museum is the first private museum in Da Nang found by Mr. Doan Huy Giao. It is just about 10 km from the city center, on mountainside of the major road up to the peak of Son Tra Peninsula. Insides are artefacts dated back to 100-2,500 years ago and selective collections of oil painting and terra cotta sculptures. 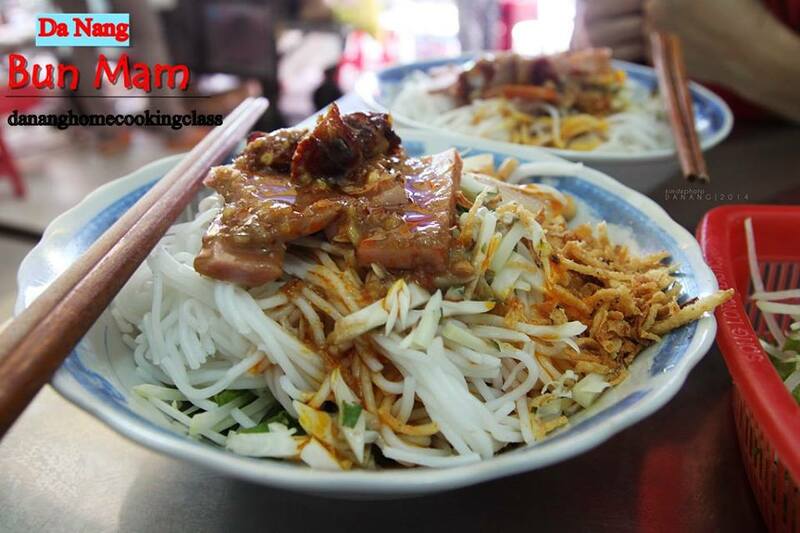 They belong to ancient cultures like Dai Viet, Sa Huynh, and Cham Pa and were collected from different area of Vietnam. 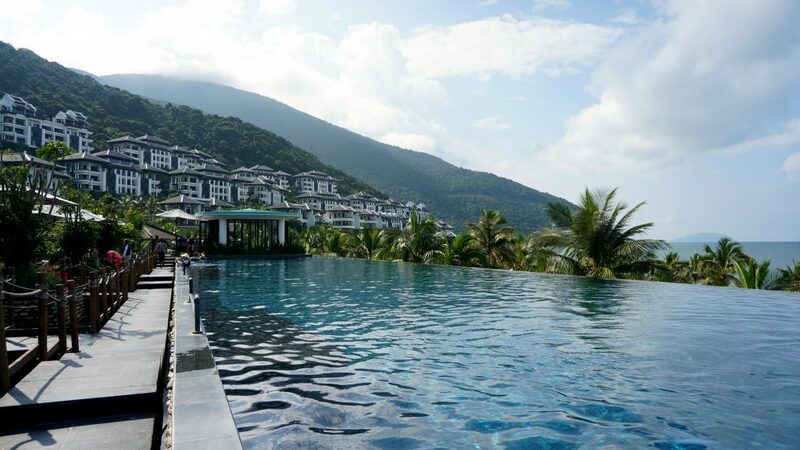 If you want to have a good panorama view of Danang city, Son Tra Beach and the lush green forest surrounding, Son Tra View Tower is your place to find. 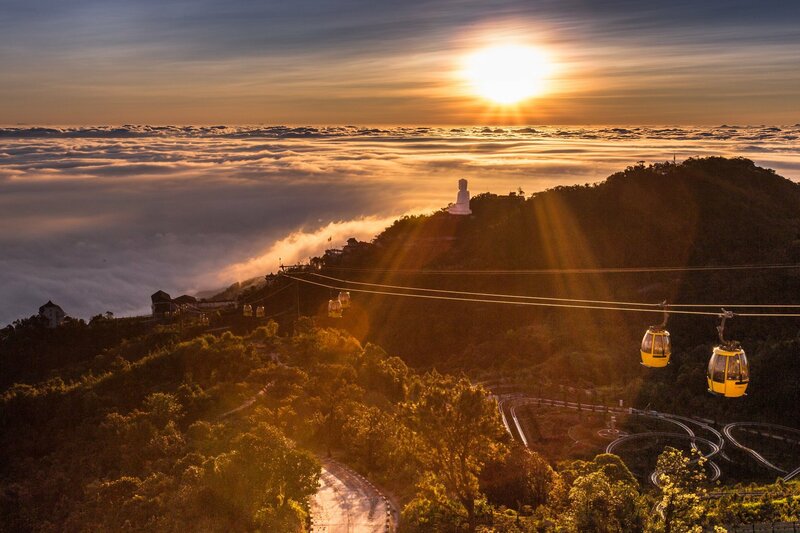 At the height of 580m above the sea level, it is considered a good place for sightseeing. 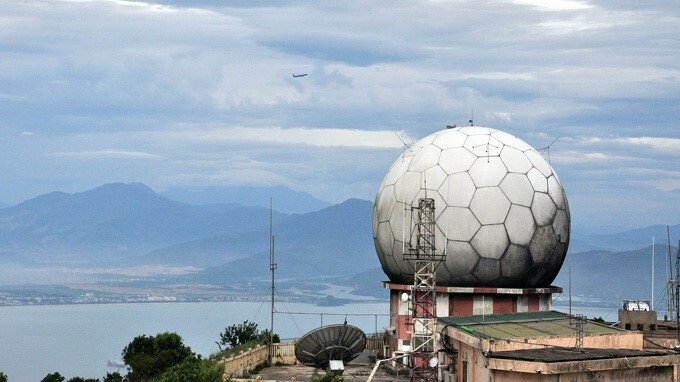 Nearby is the army radar station dated back from 1960s. It is considered as “Indochina Miraculous Eyes”. From the head-quarter, one can view and control a far distance ocean. 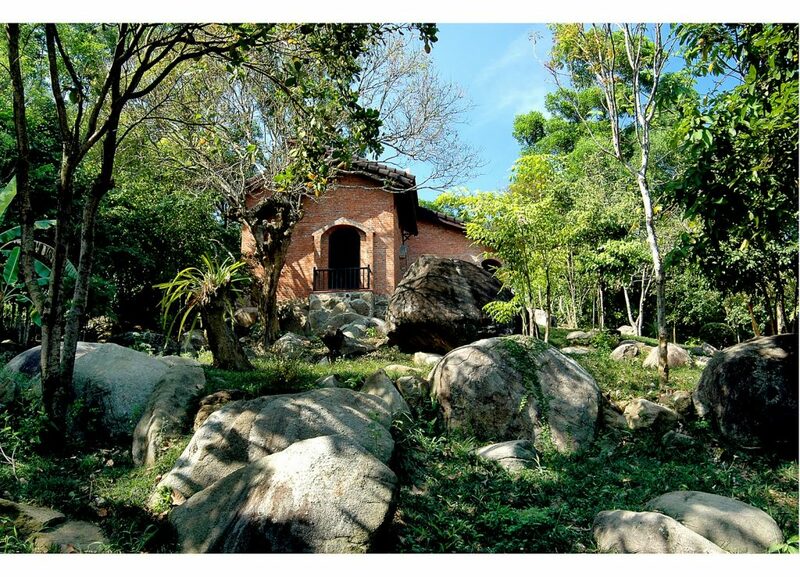 With the total area of 4,439 hectares, Son Tra Forest was listed as SUF (special use forest) system in the country by the Prime Minister of Vietnam On January 24th 1977. It is the home of about 298 species of plants and over 100 species of animals, including dozen of endangered species listed in the World’s Red book such as red chicken, python reticulatus, aquatic animals, and red–shanked douc, endemic primate of Indochina need to be protected. 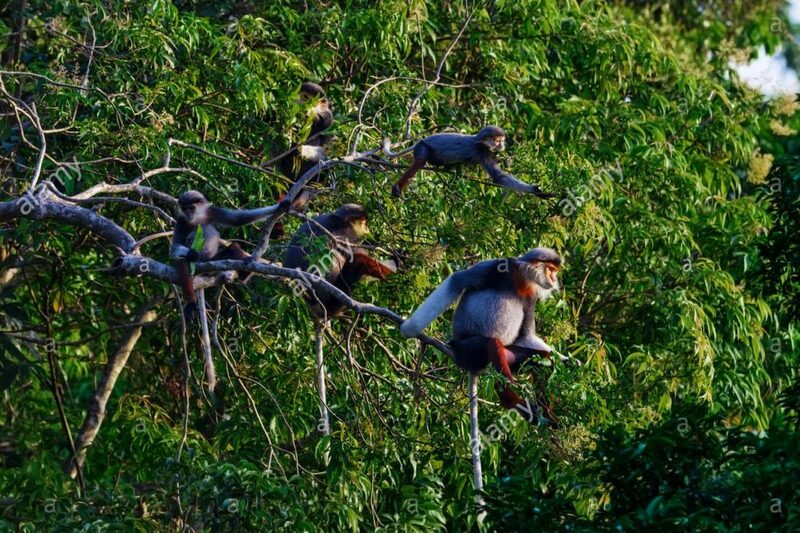 There are more than 400 red-shanked douc sharing the forest with a lot of other primate species like long-tailed macaques, rhesus… Both coastal wetland ecosystem and the moist primary rainforest are included. It is where the Northern and the Southern typical ecosystem exchange with each other. Exploring Son Tra Peninsula on a jeep will be very interesting. 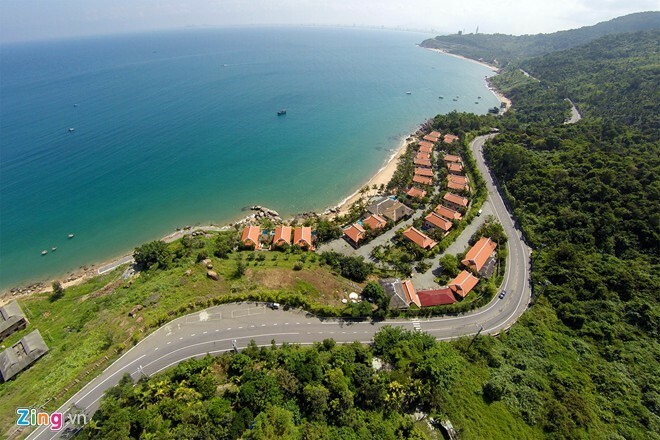 Son Tra peninsula is not only a nature reserve offering the great views of the East sea and Danang city but also it still preserves some historical relics from Vietnam war. 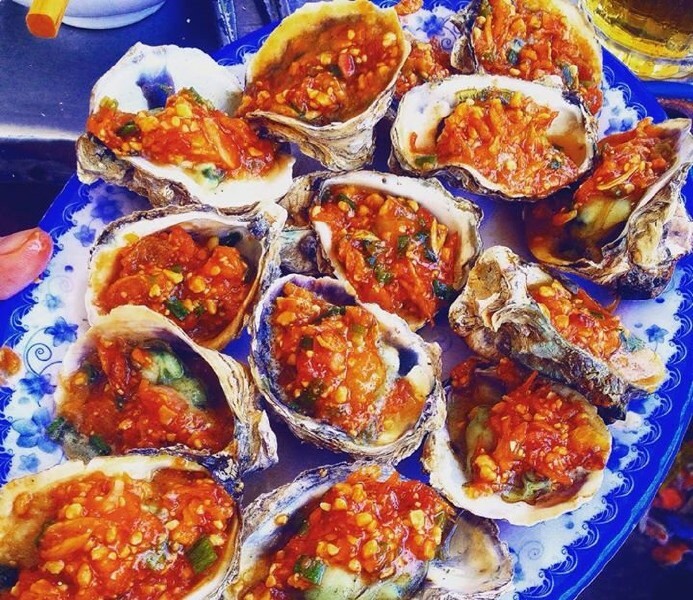 Let the guide drives you along the coast on the jeep, admiring the beauty of the sea, the beach and the city on the road and get to know more about the history of this area. Jeep drive distance: 60 – 80km.